For example, my band toured with mc chris this fall. He calls this balance ‘trimming the fat.’ He runs an incredibly efficient music operation, self-managed, self-produced, self-webmastered. The only team members he has are a booking agent and a tour manager that does the business and merch with him on tour. But that means he has to do the resthimself. B, IFD: Indirectly, yes. I wouldn’t say we’re incredibly popular with podcasters, but those that have been our champions (Hipster Please, Mothpod, GeekDad, The Nerdy Show,and more) have been invaluable in helping us spread the word. Find out more about how you can market your music on YouTube! 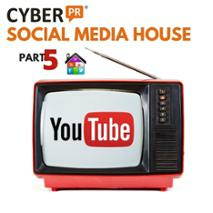 Check out Part 5 of Cyber PR’s free course, Social Media House. Click the picture below to get started.